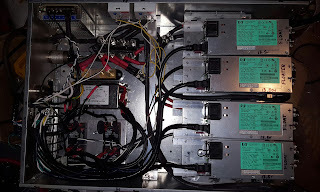 Today I completed adding the protection diodes in this whole supply. 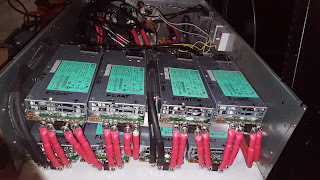 One for each of the 8 power supplies of 2 banks of 50 vdc. And then one for each Positive lead coming out of each bank over to the final distribution block. 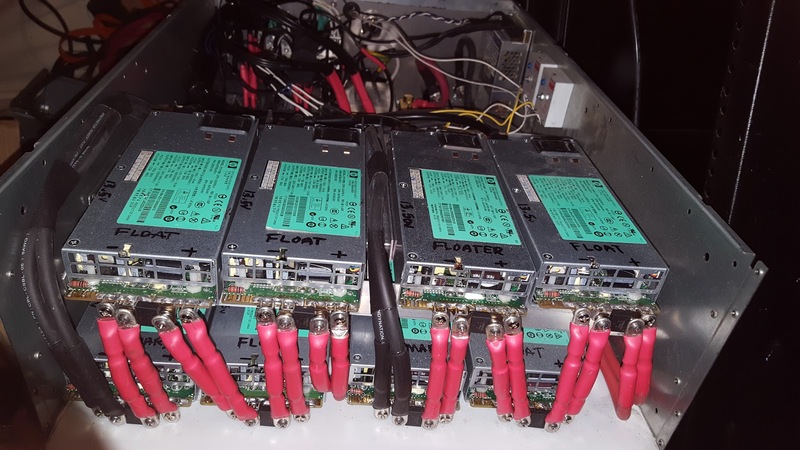 Today was also the first time I've powered up all 8 power supplies at the same time and had them providing output to a single distribution block. I haven't seen any strange behavior with any of this yet. (Knock on wood). Here's a short video of this first smoke test with all the supplies running at the same time. 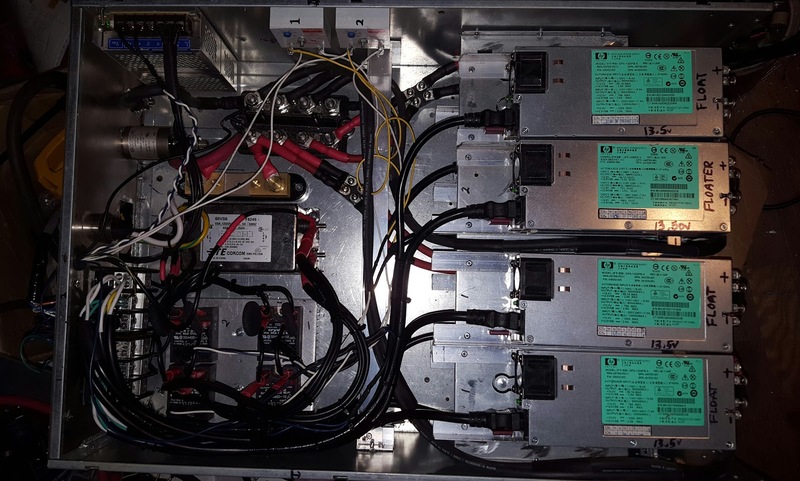 Again this is two banks of 50 vdc running in parallel. Each bank has 4 supplies set to 13.5 vdc and they're running in series to provide 54 vdc out total. 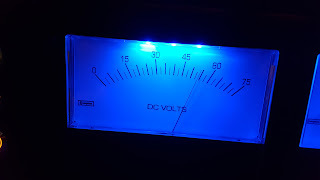 I boosted the output on them recently to overcome for diode voltage drop (if there is any, there should be when the system is at higher loads). We'll see and I'll report on that when I have a way to stress test / load test this system.